Welcome to our second edition of Math + Code, an online magazine that connects math to coding and coding to math. We are thrilled to be releasing another issue of this online resource for teachers, students and parents. 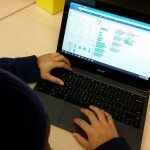 Coding is a cyclical process as students evaluate their performance and refine their actions to achieve a desired outcome. These cyclical skills enhance perseverance and resilience, skills required of 21st century learners. “Look, Ms. DuPriest! 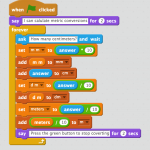 We’re making a shopping program in Scratch in math class. I’m really proud of mine.” She showed me a program with an adorable snow monster wearing an ugly sweater, asking about prices and discounts. We ran her program a few times and I asked her questions. 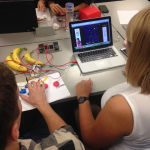 This lesson model follows an inquiry and knowledge based format and centres around students pursuing a goal involving coding a metric conversion tool. We examine the viewpoints of the teacher, the principal and most importantly, the student. 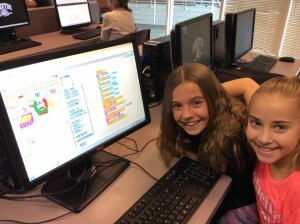 Coding doesn’t teach my students to memorize facts or to follow procedures, but instead it has taught them to consider what they are doing and why. Sure, many of them often follow the ideas of others, but the thinking that goes into understanding code is significant. Almost every group grasped the concept quickly and were navigating the maze in no time. It was so fun to watch students excited and engaged in an activity involving geometry. 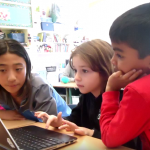 An interview with teachers Leslee Minniti (Grade 1), Bronna Silver (Grades 2/3) and Iain Brodie (Grades 7/8), St. Andrews Public School, TDSB, on collaborating to engage Grades 1-3 students with coding for the first time. In my own short journey in learning how to code, I have consistently recognized I am learning how to learn again. 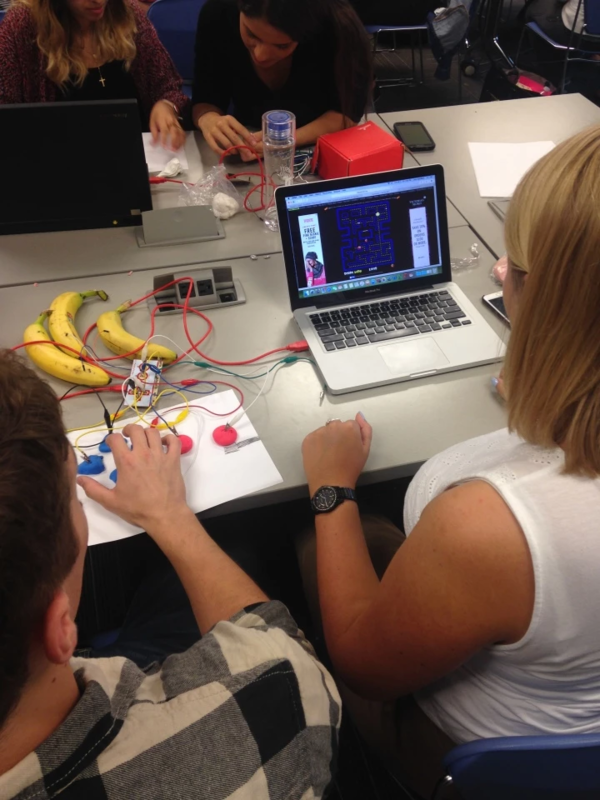 To learn to code, you have to overcome the fear of not knowing how to do something. 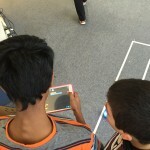 Using Scratch enables you to learn to code in a non-threatening way. Makerspace pedagogies encourage and promote perseverance, resiliency, problem-solving and an approach that supports learning from “failure”.